Above is how this new housing project looked this afternoon as Farber Construction assembles the walls and particians. 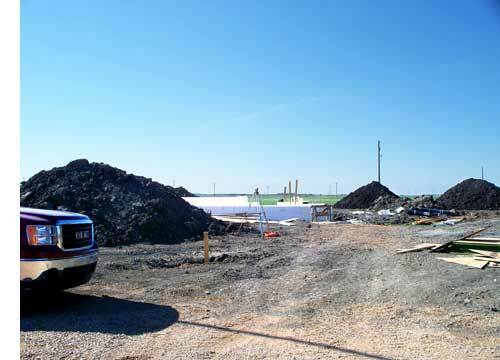 The water and sewer were installed on the lot and on May 20th (left) this is how the project looked with the excavation completed for the foundation and basement. 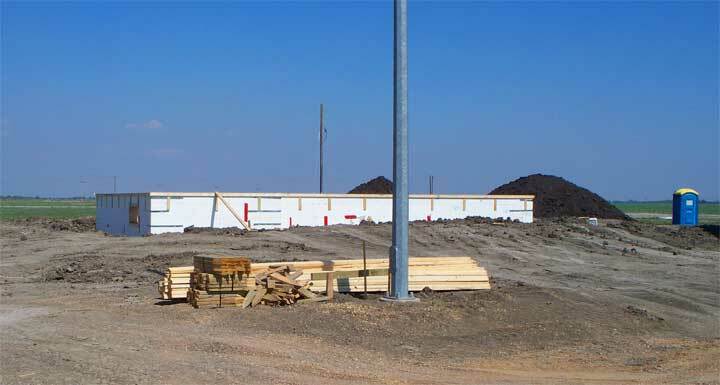 On May 27th (below) the foam forms had been delivered to the site and were neatly stacked up ready to go onto the newly poured foundation. That neat pile got re-arranged in the wind and shower that came a couple days later. 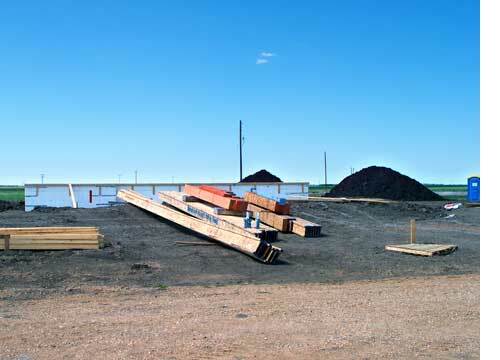 On June 2nd this picture (right) shows the forms in place and ready to be filled with cement. 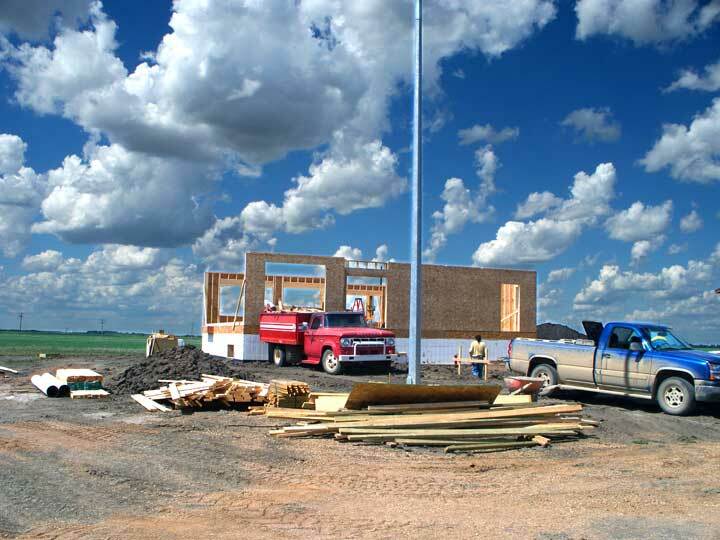 Unlike wood basements which go up in place in a day, the foam form concrete basements take a little more time, first to construct the forms and set the rebarb in place, then pour the cement, finally there then needs to be some time for the cement to cure before construction can proceed. 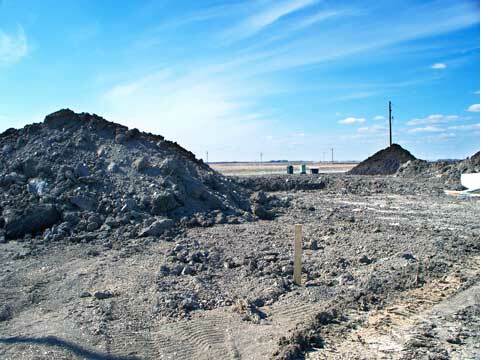 On June 6th the piles of dirt have been cleaned up and the forms awaiting the next stage of the construction process. This house sits on a corner lot with a small frontage to Forester Crescent but has a large back yard. The picture on the left was taken on June 9th and shows the sills for the house's floor stacked up ready for installation. 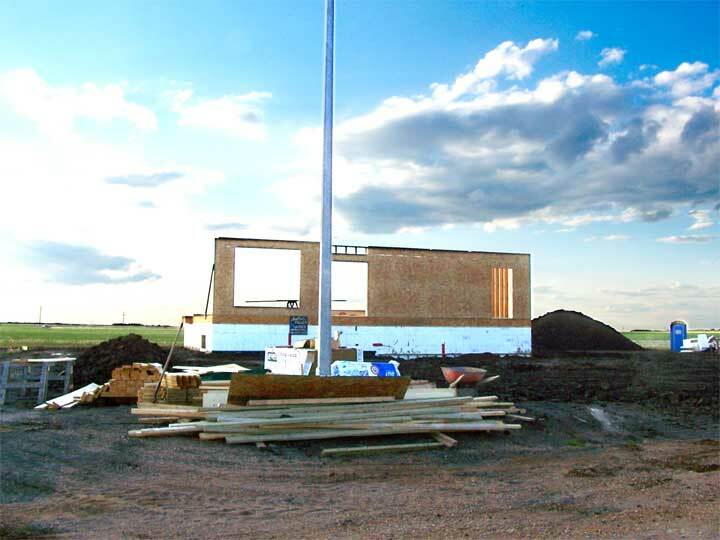 On June 16th the picture below shows the first external walls in place. If you have missed some of the houses as they were begun just click on the number below and you can go to the beginning of each of the projects so far. 2, 3, 4, 5, 6, 7, 8, 9, 10, 13, 14.